Storing in Belchetown MA can help you get organized at home and while selling items online. Amherst Self Storage has ground level drive up storage units to assist if you need space. Moving or starting your business, you may notice your belongings need a place all their own. Our self storage in Belchertown MA is safe and secure with our gate and fully fenced property. Extra belongings? See how to best sell online! 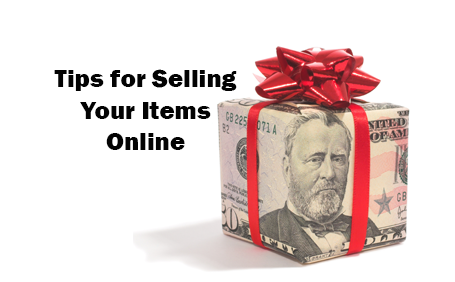 Did you know, you can sell your items you no longer want or need online? This is a great way to recycle your unwanted items and put extra cash in the bank. Learn how to easily post your belongings online and which websites to use. While you sell your gear, keep it out of the way with storage. You can enjoy your new found space with a storage unit. As college students look forward to summer or life after graduation, self storage can help store items in between semesters. Start selling your unwanted gear on a regular basis can be your summer job or help pay the bills. Ready for summer and vacation? After a few sold items, you can have extra spending money and usable space at home. Pictures and accurate descriptions are first. Let your customers know features, with a few detailed photos. Negotiating is a great way to get the most profit. Put in your description to let buyers know. Customers want to know if name brand items are authenticated. If you still have tags or can prove it is true to the brand, feel free to post it. Amherst Self Storage makes storing your belongings simple and fast. Rent storage space to keep your online merchandise safe before the final sale and keep your house in order.